Warminster, PA – CRC Industries, Inc., a global supplier of specialty chemicals for maintenance and repair professionals and do-it-yourselfers, has launched a new, redesigned website at crcindustries.com that offers visitors a more user-friendly web experience. Crcindustries.com now provides a more intuitive product search with improved navigation and multiple options for locating products and related information with fewer clicks and menus. Users may search by keyword or SKU, brand, product category or industry and browse an e-commerce style product catalog with photo-driven results. Filters may be applied to narrow product selection, and a new comparison feature helps users to quickly identify the product they need. “Our new website highlights our multiple brands and product lines and the many markets we serve, while also representing CRC as one, unified company with a global footprint,” explained Ahart. The crcindustries.com home page features links to popular content such as social media, news and motorsports updates. Easily accessible from the footer on every page of the site are quick links to important documents such as safety data sheets, VOC compliance information and technical briefs. Additional improvements include an extensive video library organized by product category. Most importantly, the site is now scalable to allow CRC to easily add features over time while also utilizing data in new ways that will continually benefit their customers. 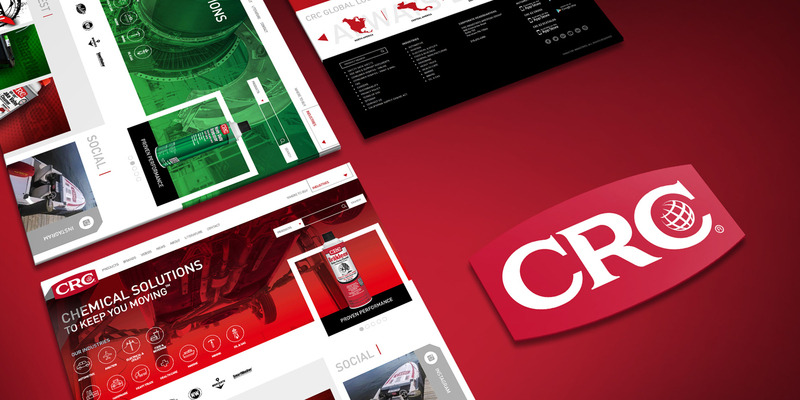 “CRC's new website unites products and brand content in a customer-centric hierarchy. Product information is readily available and new products are easy to discover,” said Cory Rowan, director of client services at VisFire, the agency engaged by CRC to design the new site. “The design leverages user interface features familiar to online shoppers, and makes product catalog browsing more intuitive." “We are confident that our quality content and improved product search capabilities enhanced by eye-catching graphics will resonate with our target audience,” Ahart concurs. The new CRC website is fully responsive for mobile, providing a seamless experience on all devices. CRC Industries, Inc. is a global leader in the production of specialty chemicals for the do-it-yourselfer and maintenance professional, serving the automotive, industrial, electrical, marine, heavy truck, hardware and aviation markets. CRC trademarked brands include: CRC®, K&W®, Sta-Lube®, SmartWasher® and Marykate®. For more information, visit www.crcindustries.com. VisFire is a digital marketing agency in Atlanta, Georgia and Denver, Colorado, focusing on targeted creative services for enthusiast brands. VisFire helps companies meet business needs through technology driven solutions, imaginative ideas, and on-going support services tailored for each client. Learn more at www.visfire.com.